The Twisted Electrons Cells is a dual unipolar control voltage generator featuring 16 touch sensitive pads. This duophonic instrument features a euro-style rack design with a simple yet intuitive layout for quick and easy manipulation. The Twisted Electrons Cells is primarily intended for use as a synth/sequencer instrument but its versatile nature means it can be used to modulate filters, amps and anything else with a CV input. Each of the sensitive pads can produce two 12bit values (semi-tone quantized or free scale), ranging from 0V to 5V. 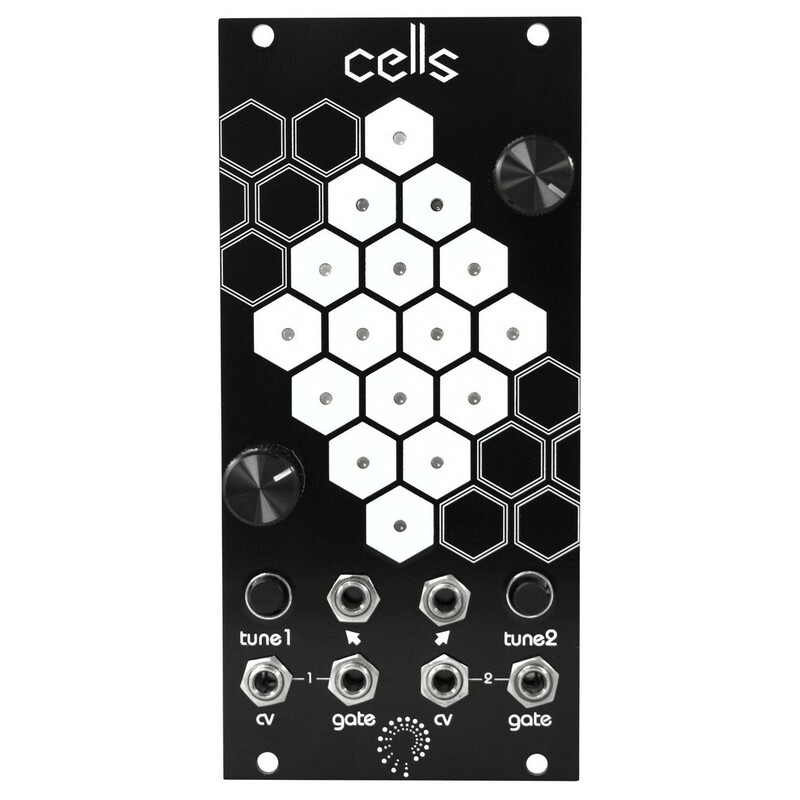 With its simple design and ability to create a range of tones, the Twisted Electrons Cells is ideal for any digital musician. The Twisted Electrons Cells features 16 touch-sensitive pads including integral LED lights to give visual feedback on which pads are activated. 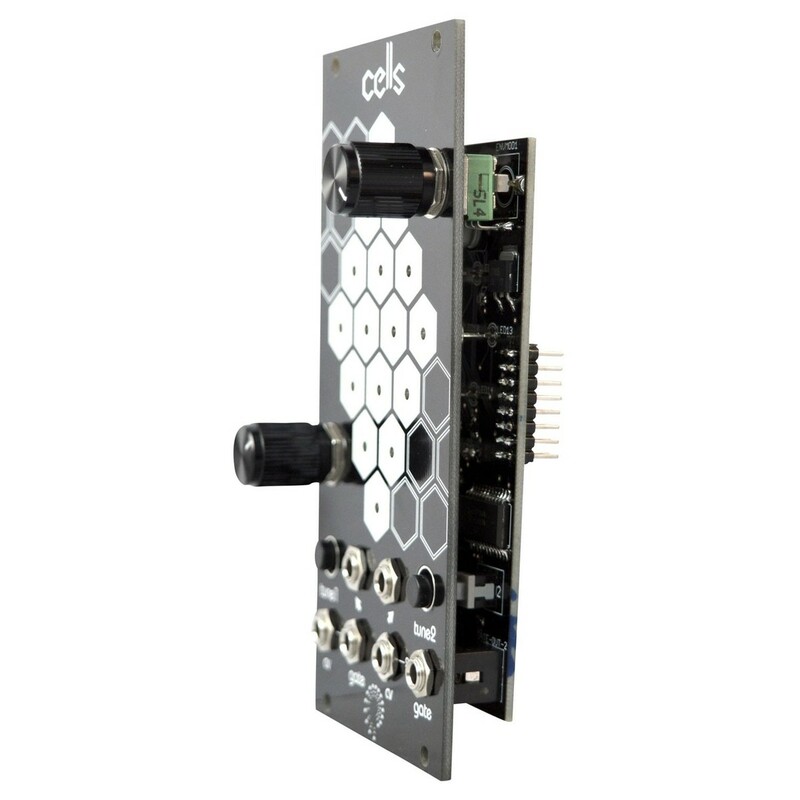 The Eurorack style module can be fed up to two 12-bit values (semi-tone quantized or free scale) ranging from 0 to 5 volts. This duophonic rack-style instrument is primarily made for generating low-bit tones but can be also used to modulate parameters such as filters or amps and anything else that features a CV input. You can use the module as a sequencer using the 2 trigger inputs with the left input shifting up a row and the right input shifting right by one column. The handmade design features 2 CV/gate outputs, 2 tune buttons and 2 trigger inputs for optimal versatility, allowing you to use the Twisted Electrons Cells for a range of modulation applications.